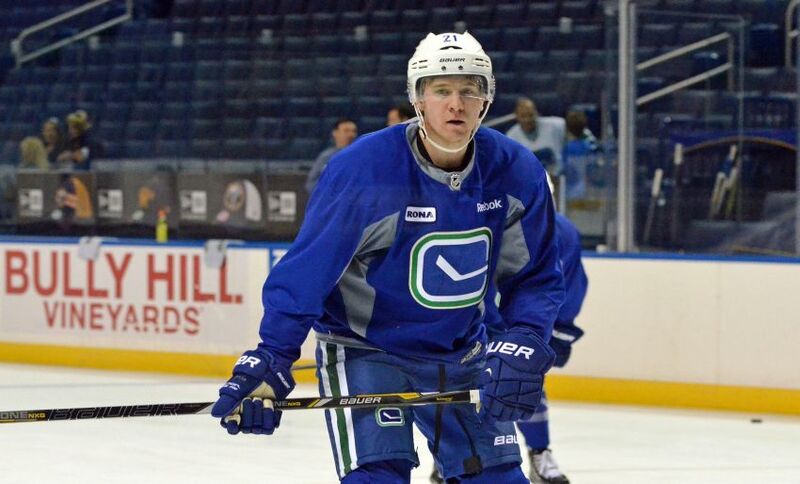 BUFFALO – The Sabres added forward depth today, signing Zac Dalpe, who spent most of last season with the Vancouver Canucks, to a one-year contract. Update: The contract is a “high” two-way deal, according to Stephen Bartlett, Dalpe’s agent. The 24-year-old has nine goals, 17 points and 10 penalty minutes in 96 NHL games. He played a career-high 55 times in 2013-14, compiling four goals and seven points. Dalpe, the 45th overall pick by the Carolina Hurricanes in 2008, has shuttled between the NHL and AHL since leaving Ohio State University after two seasons in 2010. The 6-foot-1, 195-pound Ontario native earned AHL All-Rookie honors with the Charlotte Checkers in 2011 after a 23-goal, 57-point campaign. He has 68 goals, 142 points and 52 penalty minutes in 186 AHL games. Dalpe will likely compete for a fourth-line spot during training camp.